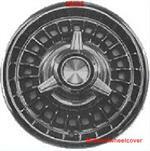 3971, HUBCAP USED 14", 66, CHEVY, CHEVY II, 24 SLOT TYPE. 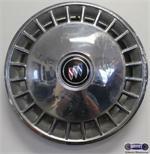 4003, HUBCAP USED, 14", 67, OLDSMOBILE, F85, CUTLASS, 24 SLOT TYPE. 421b, Hubcap used, 15", 80-81, CHRYSLER, CORDOBA, 24 SLOT TYPE, EXCEPT 300. 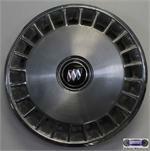 444, HUBCAP USED, 14", 84-85, DODGE, CARAVAN, 600, 24 SLOT TYPE. 483, Hubcap used, 14", 92-93, CHRYSLER, NEW YORKER (FWD), POLISHED OUT EDGE & SPARKLE SILVER, 24 SLOT TYPE. I483, Hubcap used, 14", 92-93, CHRYSLER, NEW YORKER (FWD), POLISHED OUT EDGE & SPARKLE SILVER, 24 SLOT TYPE. ENGRAVED BLACK CENTER WITH CHROME WORD CHRYSLER IN IT, PLASTIC CLIPS & WIRE RING. 7014b, HUBCAP USED, 16", 01-02, FORD, CROWN VICTORIA, 24 SLOTS FORD OVAL IN CENTER HAS 6 PLASTIC CLIPS W/WIRE , A & B WILL INTERCHANGE. 7022, Hubcap used, 16", 98-02, MERC, GRAND MARQUIS, 24 SLOTS. 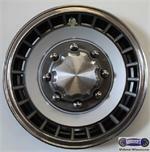 838, HUBCAP USED, 14", 85-86, FORD, LTD, MACHINED, 24 SLOT TYPE. CARACOLE POCKETS, ENGRAVED WORD FORD IN CENTER, METAL CLIPS. 895, HUBCAP USED, 15", 92-97, FORD, CROWN VICTORIA, 24 SLOTS, SPARKLE SILVER, ETCHED RING IN CENTER, BLUE FORD OVAL, PLASTIC CLIPS, WIRE RING, (ARGENT). 898, HUBCAP, USED, 16", 92-95, FORD, VAN, E250, E350, 24 SLOT, CHROME OUTER RING, BLACK POCKETS, MEDIUM GREY PAINTED, 8 FAKE CHROME LUG CAPS, CENTER SECTION 1-1/8" HIGH, CHROME CENTER PIECE, 6 METAL CLIPS.